What Are The National Monuments Affected By President Donald Trump's Executive Order? : The Two-Way President Trump has ordered the Department of the Interior to review the status of at least 20 national monuments. 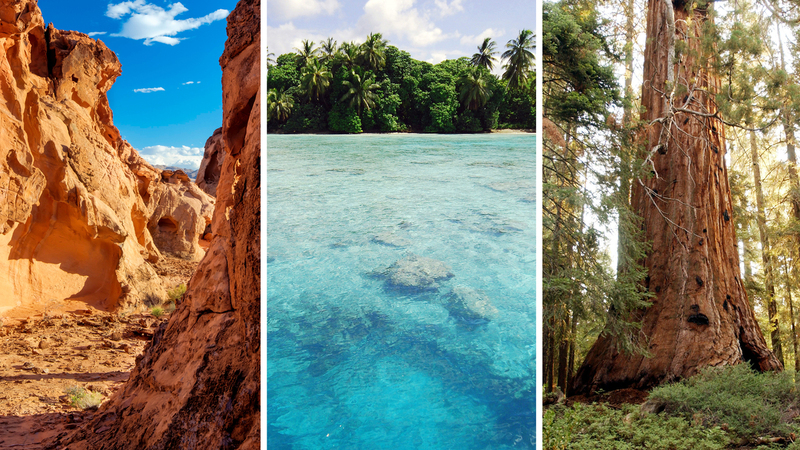 Here's a visual guide to the stunning landscapes now in Trump's sights. Three of the national monuments now under review by the Department of the Interior: (from left to right) Gold Butte in Nevada, the Pacific Remote Islands and Giant Sequoia in Northern California. President Trump has ordered the Department of the Interior to review all designations of national monuments greater than 100,000 acres created since 1996. That executive order, which he signed Wednesday, places at least 20 — and as many as 40 — monuments in the government's sights. The areas now under review span a vast range of landscapes — from arid deserts to frozen mountain peaks, from striking craggy vistas to teeming underwater playgrounds. And, though these monuments were all established roughly in the past two decades, they all have a history more than a century long. That's because all of them owe their existence to the 1906 Antiquities Act, a law signed by President Theodore Roosevelt that makes it a federal crime to destroy or alter ancient artifacts and ruins on federal land. The act also gives the president the authority to designate national monuments. More recently, with most large public lands protection bills stalled in Congress, presidents from Bill Clinton to George W. Bush and Barack Obama have used the act as a tool to protect sweeping amounts of federal land mostly in the West. President Obama's late hour designation of the Bears Ears National Monument in Utah, for instance, protects more than a million acres — even though the Antiquities Act specifies that monuments designated by a president "in all cases shall be confined to the smallest area compatible." It's this perceived overreach that partly spurred Trump to sign his executive order. But if, after the review, Trump also decides to bypass Congress and act by executive order to shrink or even nullify any of the monuments, a court challenge is all but guaranteed. "The Antiquities Act expressly authorizes the President to create a national monument, but it does not authorize a later President to revoke or modify a national monument," says Prof. Carl Tobias of the University of Richmond School of Law. The Grand Staircase-Escalante National Monument in Utah is about the size of the state of Delaware. 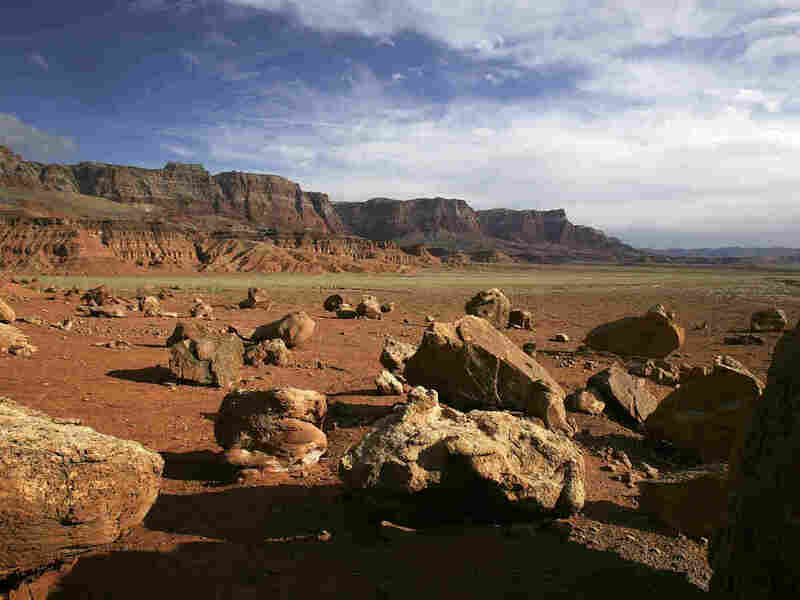 One of its best-known features is a host of toadstool-like rocks littering the landscape. 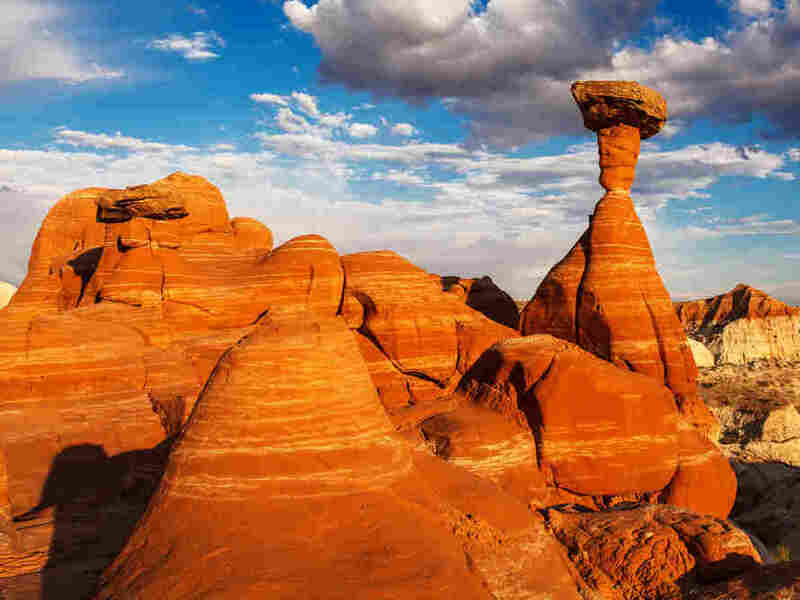 This vast expanse of canyons — stretching across roughly 1.7 million acres of southern Utah — is likely the earliest designated national monument now under review. Established by presidential order in 1996, the Delaware-sized Grand Staircase-Escalante National Monument earns its name from a series of plateaus so starkly separated by cliff faces they resemble an eye-catching staircase — or, as the monument's website quips, a "starecase." The Grand Canyon-Parashant National Monument is a landscape of crags and stunning depths in northern Arizona. 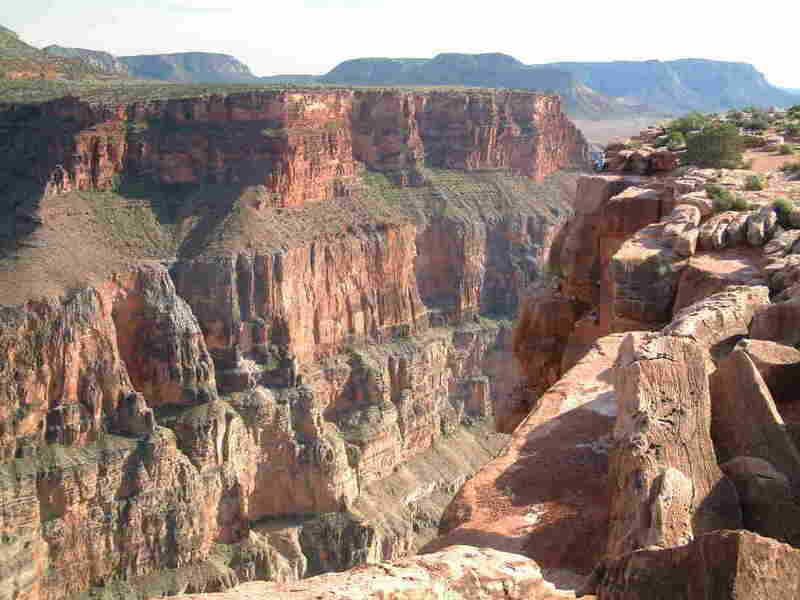 Nearly as large as the Grand Staircase is its neighbor to the southwest, Arizona's Grand Canyon-Pararashant National Monument. The first monument to be designated in Clinton's final year in office, Parashant packs just over a million acres in its expanses. According to the National Park Service, nearly 20 bat species have been identified in the area, and scientists have used the monument for nearly two decades as a fertile ground for research. A giant sequoia tree dwarfs the surrounding forest along the Trail of the 100 Giants in the Sequoia National Monument in Northern California. It's among these massive trees that President Clinton proclaimed the monument. Here be giants. 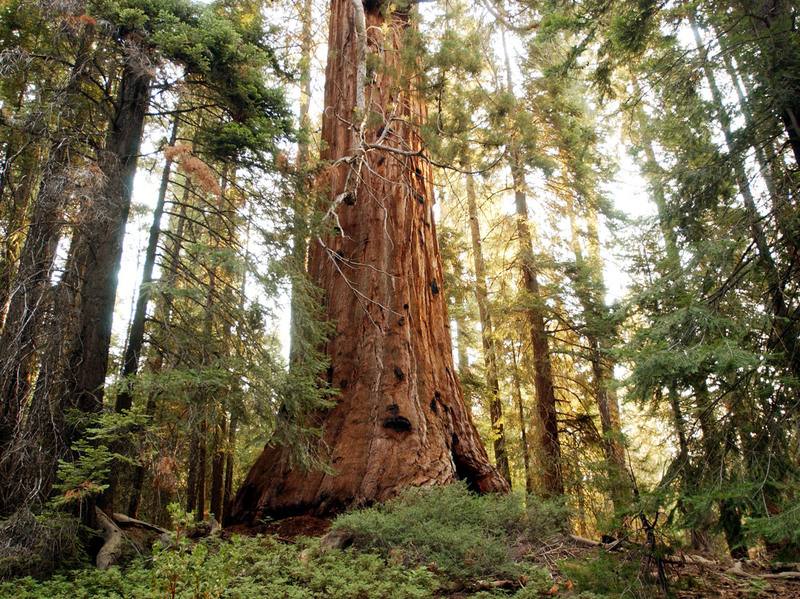 In the Giant Sequoia National Monument, which exceeds 320,000 acres in Northern California, some of the world's largest trees tower above the forest floor. Perhaps the most famous of these are the 100 Giants, a misleadingly named grove of more than 700 giant sequoias where Clinton proclaimed the creation of the monument in April 2000. The Canyons of the Ancients National Monument in Colorado contains ruins that date back centuries. Where the monuments above celebrate natural splendor, the Canyons of the Ancients National Monument instead sets aside the works of humans. 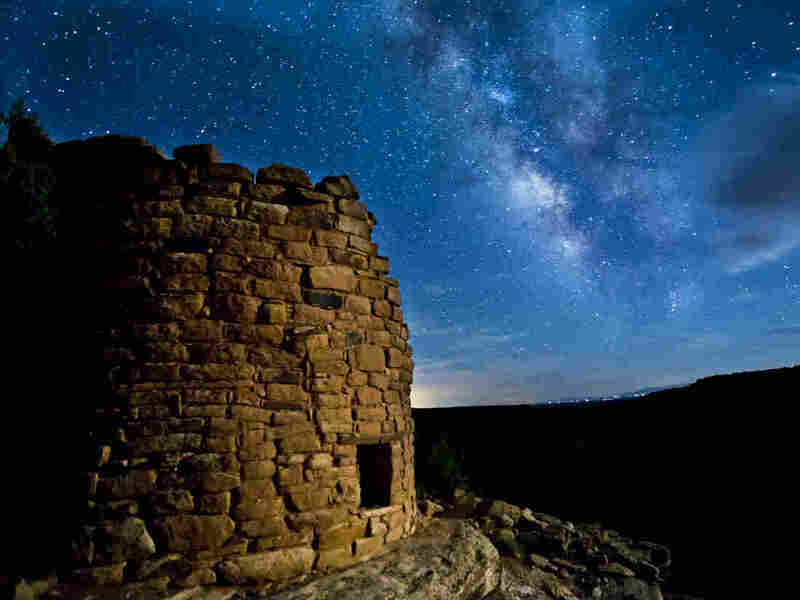 A landscape that contains the "highest known density of archaeological sites in the United States," according to Mesa Verde Country, the monument's 176,000 acres in southwest Colorado contain thousands of ancient Native American sites — including the ruins set against the starry night sky above. The Hanford Reach lines Washington's Columbia River. In addition to its wildlife, the national monument also hosts vestiges of U.S. history: defunct Cold War-era plutonium reactors. The massive bluffs of Hanford Reach line a stretch of the Columbia River in southern Washington state. Signed into existence by President Clinton in 2000, the Hanford Reach National Monument sets aside nearly 200,000 acres of land reminding visitors not simply of the region's natural features. On this land also stand the remnants of defunct American plutonium reactors, which the U.S. Fish and Wildlife Service says were used in the production of nuclear weapons in World War II and the Cold War. 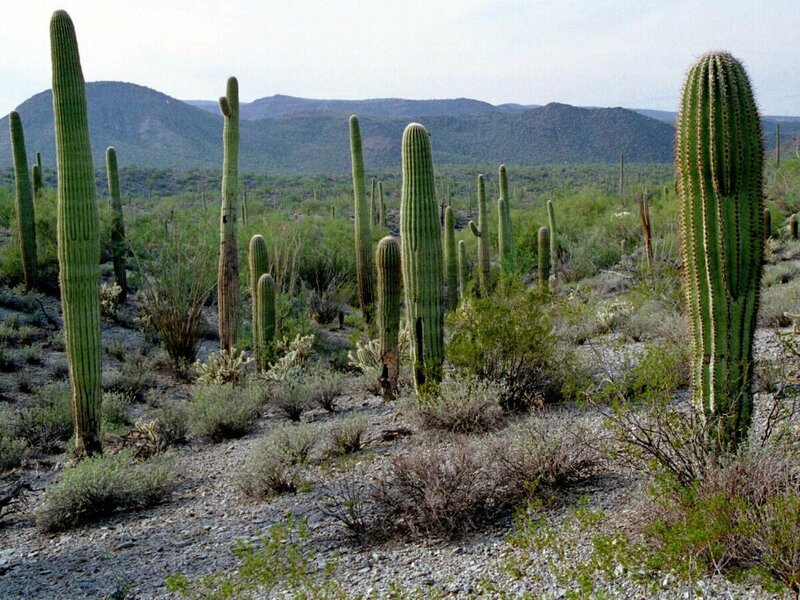 Deep in the Sonoran Desert of Arizona stand the roughly 125,000 acres of Ironwood Forest National Monument. Established on the same date as the Hanford Reach and the Canyons of the Ancients, Ironwood Forest also bears traces of the human hand, with hundreds of archaeological sites scattered across the arid landscape. Amid the cacti and crags rest ruins that date from ancient hunter-gatherer societies up to the 19th century. The Vermillion Cliffs National Monument hosts not only the vivid hues of the sunset, but a winged visitor too: the California condor, which conservationists hope will find a more hospitable home here. Just south of the Utah border, Arizona's Vermillion Cliffs National Monument protects nearly 300,000 acres of the kinds of sights that make nature photographers drool. But the monument, which was proclaimed just days after Election Day in 2000, has also proved to be an important draw for another visitor to the region: the endangered California condor, which has been introduced in the remote landscape to try to grow its anemic population. Wildflowers cover the hills of the Tremblor Range in Carrizo Plain National Monument near Taft, Calif., during a wildflower "super bloom" earlier this month. Speaking of attractions for nature photographers, the Carrizo Plain National Monument has been getting its fair share of attention lately, as well. 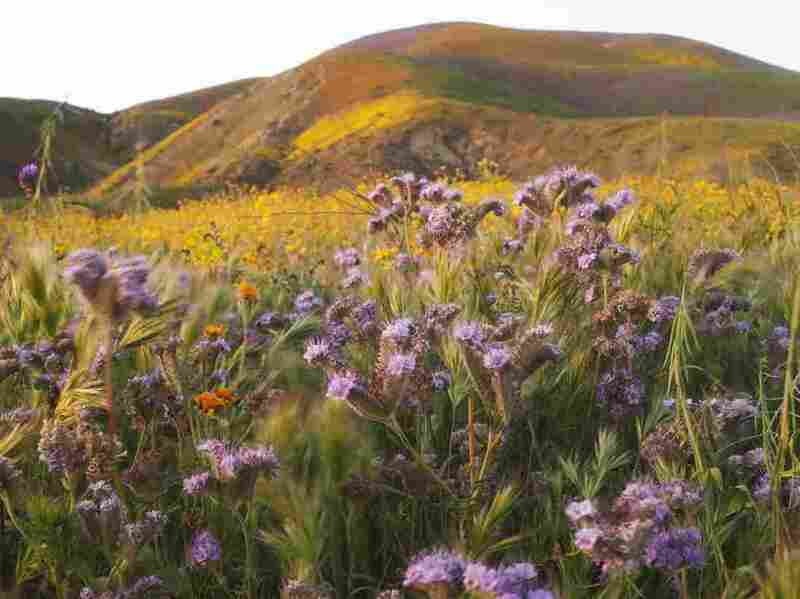 That's because, after years of drought, a recent spate of rain has set this Central Californian grassland plain ablaze with a bloom of wildflowers. In fact, Carrizo's 200,000 acres have made for such a spectacular sight, they've earned a rather fitting moniker: super bloom. President Clinton designated this area as a national monument in the waning days of his administration in 2001, along with the next two regions on this list. Like a good cactus? 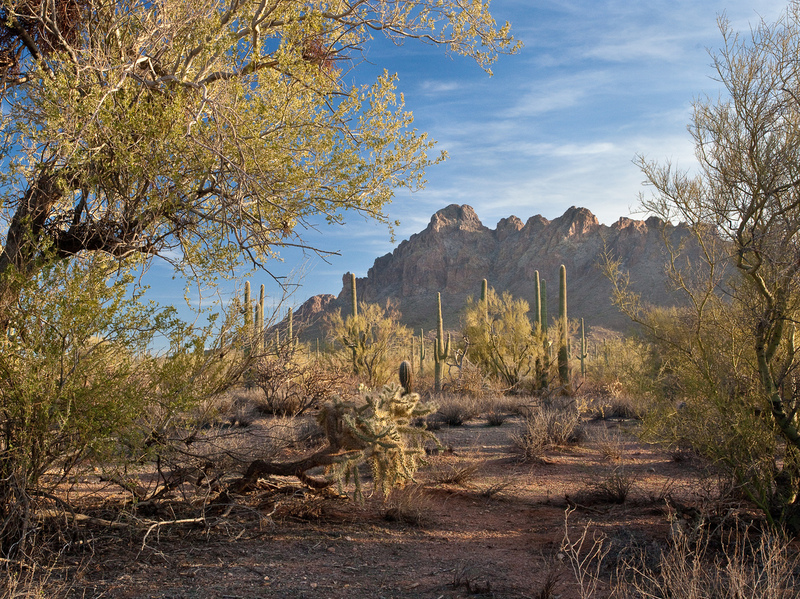 It's clear the Sonoran Desert National Monument in Arizona is right up your alley. Nearly half a million acres have been set aside for the Sonoran Desert National Monument, a region that promises visitors a whole lot of sun-bleached browns and greens. Proclaimed in 2001 on the same date as the Carrizo Plain and the Upper Missouri River Breaks, the Sonoran Desert generally bears fewer breathtaking sights than its counterparts, its designation aimed primarily at protection — for the area's ancient relics and wildlife. Located near Fort Benton, Mont., the Upper Missouri River Breaks National Monument has drawn a vast variety of fauna to its river shores. 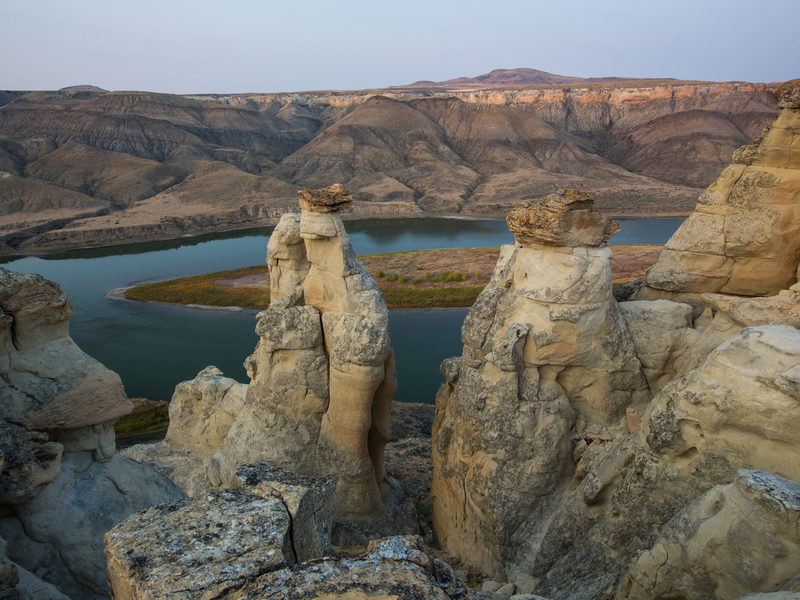 A member of the last crop of Clinton's designations, the Upper Missouri River Breaks National Monument contains about 375,000 acres of land. "Glaciers, volcanic activity, and erosion have since folded, faulted, uplifted, and sculpted the landscape to the majestic form it takes today," the Bureau of Land Management says, noting the vast abundance of wildlife that continue to make the river region their home. Established first by President George W. Bush as the Northwestern Hawaiian Islands National Monument in 2006, then given its Hawaiian name Papahānaumokuākea in 2007, this monument received a massive expansion under President Obama before he left office. 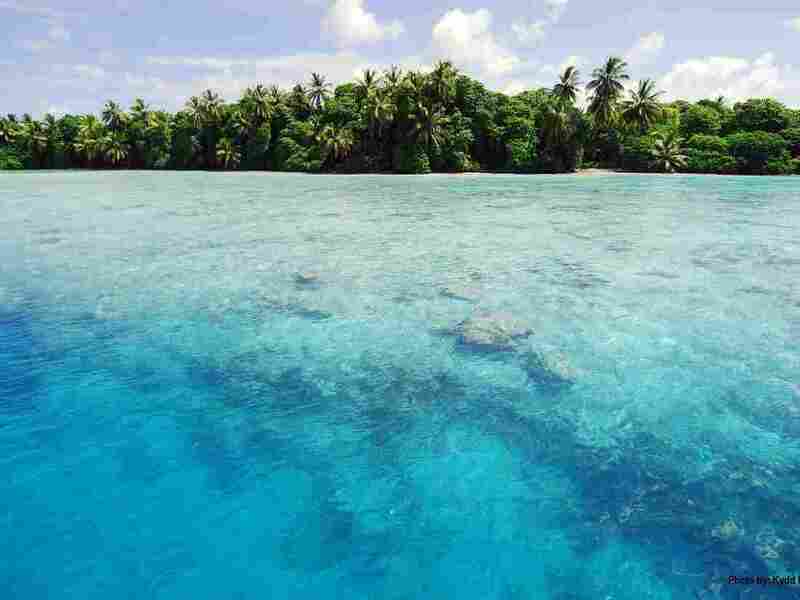 Now it stands at around 400,000 acres of islands, atolls and coral reefs — home to more than 7,000 marine species 14 million seabirds. 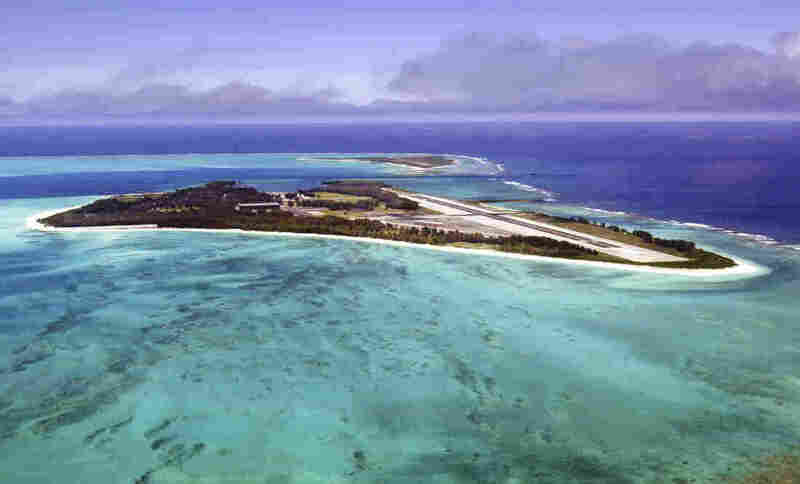 It's also home to the Midway Atoll, where the pivotal Battle of Midway unfolded between the U.S. and Japan in 1942. Resting as it does smack in the middle of the Pacific Ocean, Midway offered the U.S. a crucial victory early in the war — and for that reason, the monument stands large in the American imagination for more than its wildlife. The Palmyra Atoll, home to shallow water flats, is one of the many islands, atolls and reefs that make up the Pacific Remote Islands National Monument. Southwest of Hawaii stands the Pacific Remote Islands Marine National Monument, a cluster of territories proclaimed just before Bush left office in 2009. Obama expanded on Bush's proclamation in 2014, adding more than 300,000 acres to its expanse and making the Pacific Remote Islands the largest marine reserve in the world, according to the U.S. Fish and Wildlife Service. 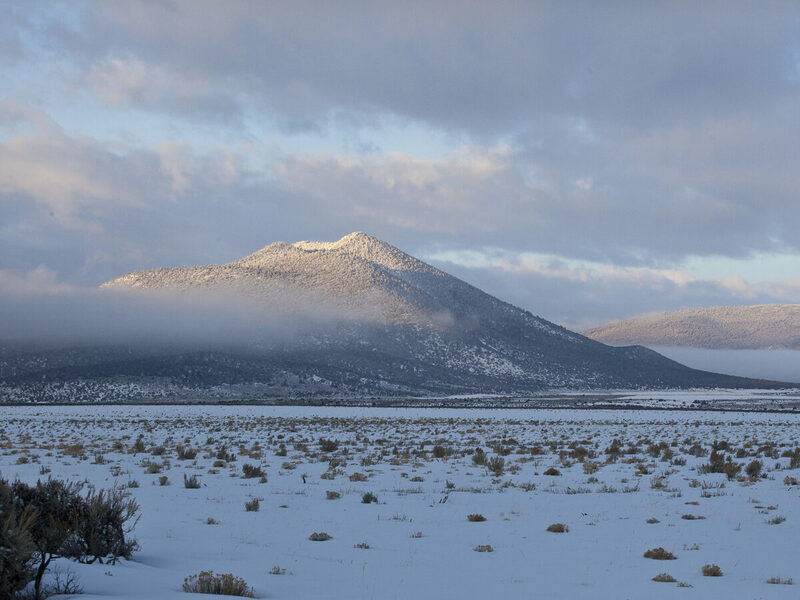 The Rio Grande del Norte National Monument features great heights, like this peak towering over the snow. Proclaimed a national monument in 2013, Rio Grande del Norte in northern New Mexico is littered with volcanic cones and canyons. Its 240,000 acres are a tale of great heights and depths, with its peaks reaching as high as 10,000 feet and carved deeply by a gorge that winds its way through. 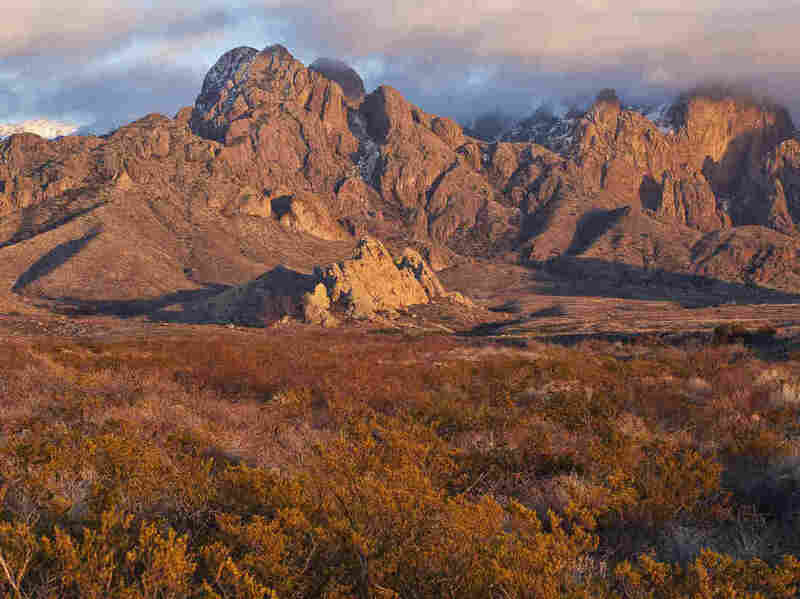 One of the first national monuments designated by Obama, Organ Mountains-Desert Peaks stands in southern New Mexico. Almost half a million acres make up the Organ Mountains-Desert Peaks National Monument in southern New Mexico, where spires lean over the Chihuahuan Desert. "Despite [an] abundance of wildlands, wildlife, and natural beauty, these lands are under constant threat from a wide range of modern-day activities," according to the monument's website. "From urban sprawl to potential mining for rare earth minerals; from proposals for energy development to an explosion of off-road vehicles, these lands are under siege and need the protections that only a National Monument can provide." The San Gabriel Mountains National Monument sits on more than 300,000 acres of Angeles National Forest, an area often at risk of wildfire — as in 2009, when smoke settled the forest in an orange haze. 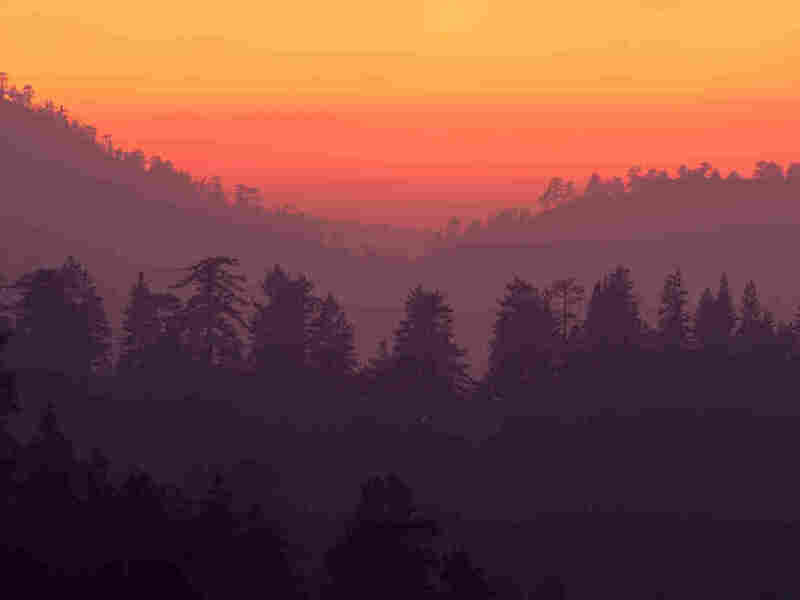 The San Gabriel Mountains National Monument covers about 345,000 acres of forests near Los Angeles, spanning part of the San Andreas Fault and a hefty chunk of the Angeles National Forest. It was established in 2014 under Obama. The Cache Creek Wilderness, part of Berryessa Snow Mountain National Monument. 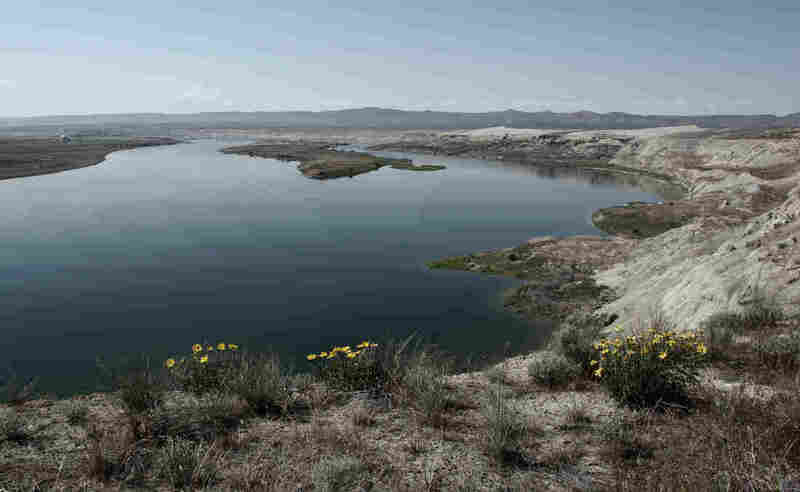 This 330,00-acre monument in Northern California sits just north of Sacramento and the San Francisco Bay. 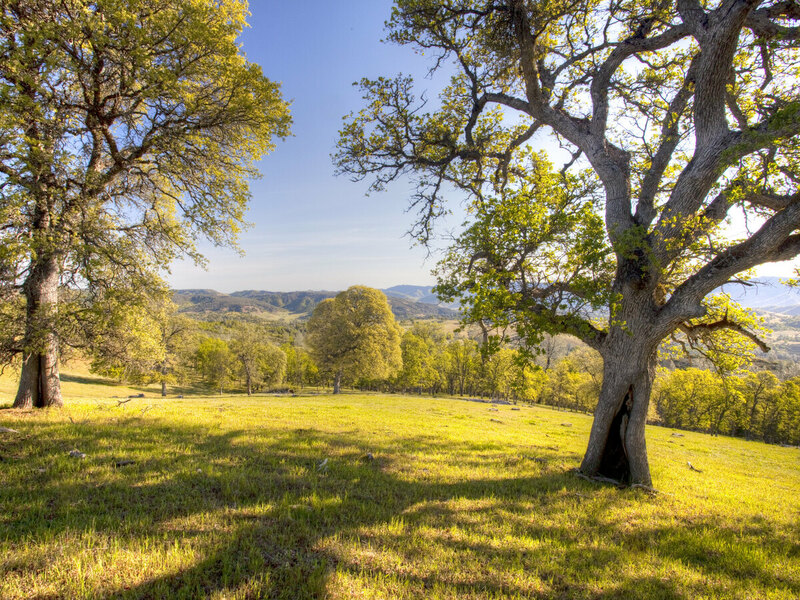 Dense with wildlife and centuries-old artifacts of Native American civilization, Berryessa Snow Mountain is also "home to some of the rarest plants on Earth – particularly delicate serpentine plants clinging to otherwise barren and rocky mountainsides," according to the U.S. Forest Service. Basin and Range National Monument in Nevada. 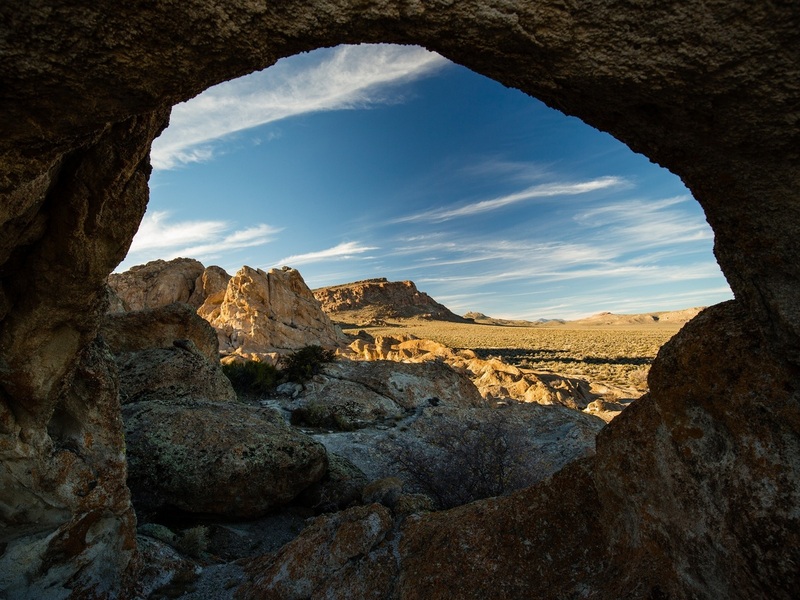 In remote southeastern Nevada, the Basin and Range National Monument's "vast, rugged landscape redefines our notions of distance and space and brings into sharp focus the will and resolve of the people who have lived here," according to the Bureau of Land Management, which administers the area. More than 700,000 acres are contained within its borders, which were delimited by Obama's proclamation in July 2015. The Mojave Trails National Monument stretches for about a million and a half acres in the California desert. One of the largest monuments now in Trump's cross-hairs, Mojave Trails in the California desert spans about 1.6 million acres near the state's southeast border. 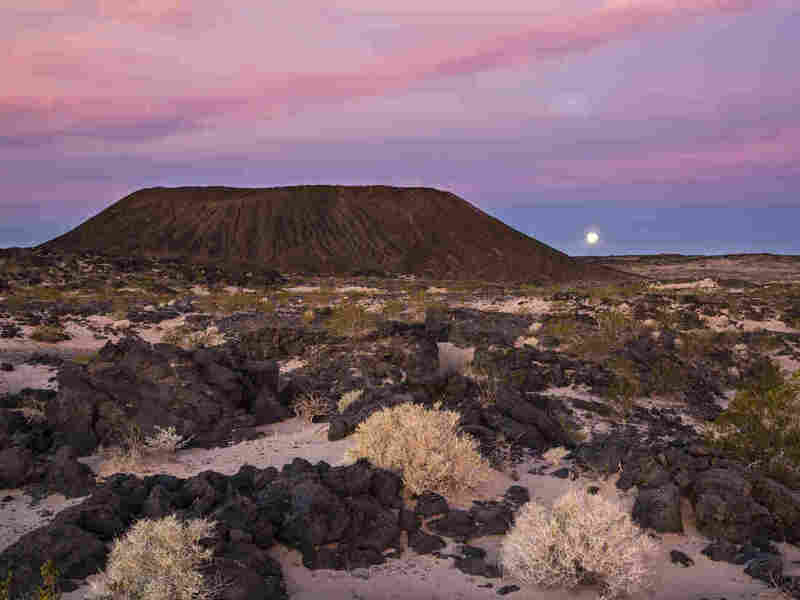 "The Mojave Trails area includes sand dunes, ancient lava flows, 550 million-year-old fossil beds and the Sleeping Beauty Valley, a remarkably intact West Mojave Desert ecosystem," the local Desert Sun newspaper reported in February last year, when the region was proclaimed a national monument. "The monument will protect irreplaceable historic resources including ancient Native American trading routes, World War II-era training camps, and the longest remaining undeveloped stretch of Route 66," the Obama administration said at the time. 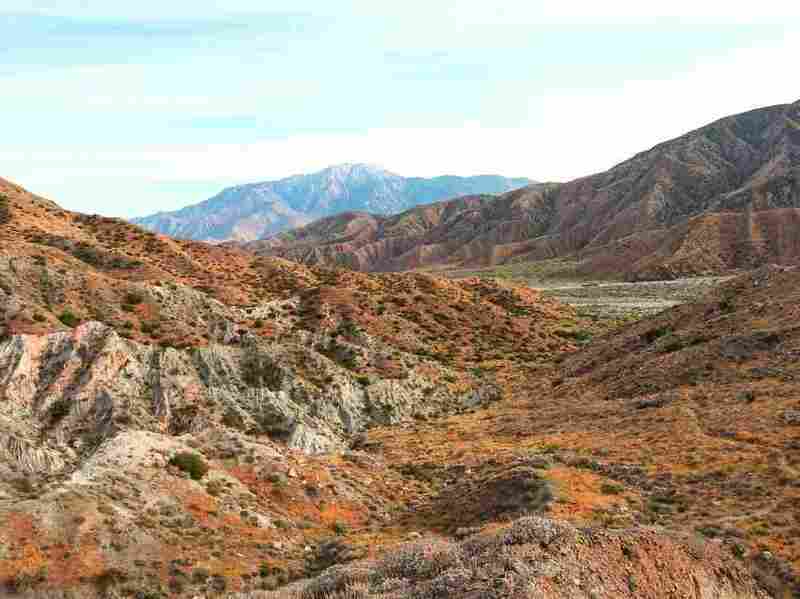 Just east of Los Angeles, the Sand to Snow National Monument is as diverse as it name implies, comprising both desert climes and cold mountain air. As its name suggests, the Sand to Snow National Monument stretches 154,000 acres from the desert floor to the frosty heights of Mount San Gorgionio east of LA. Also proclaimed in February last year, the monument is administered partly by the U.S. Forest Service and the Bureau of Land Management. More than any other monument on this list, Bears Ears has attracted criticism from Republican lawmakers for federal overreach. 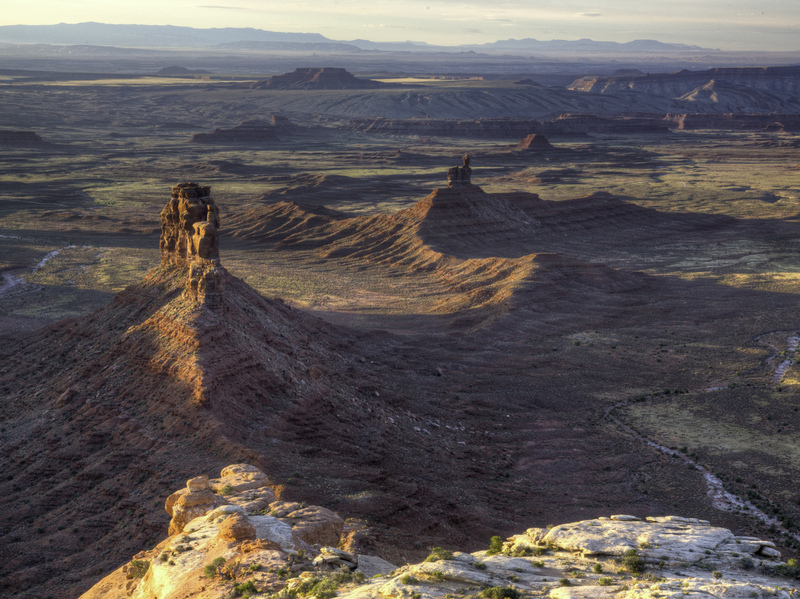 At 1.35 million acres, the national monument is also among the largest in the country. The only national monument to be named specifically in Trump's executive order, Bears Ears has been a point of significant controversy since it was created in December last year. Republicans point to its establishment as an example of severe executive overreach, saying its 1.35-million-acre expanse is gratuitous and unfairly encroaches on the rights of Utah residents, who cannot develop oil and gas drilling or expand cattle grazing on the land. But for the region's Native American tribes, who see the site as sacred, the national monument designation was a massive victory they are prepared to defend. "I'm standing for what my people are wanting," Davis Filfred, Navajo Nation Council Delegate in Utah, tells NPR, "and I'll continue to stand and fight for what's right." 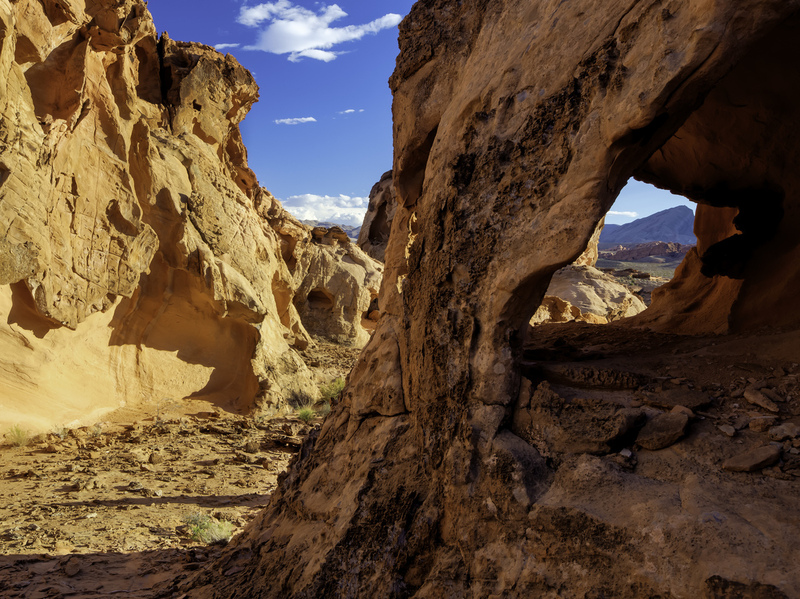 The Gold Butte National Monument in southeastern Nevada was established in the waning days of Obama's presidency last year. It covers roughly 300,000 acres of land. Similar to Bears Ears, Nevada's recently established Gold Butte National Monument has also drawn controversy of its own. Standing at about 300,000 acres, the monument in southwest Nevada rests not far from where Cliven Bundy and fellow local ranchers engaged in an armed standoff with federal law enforcement in 2014. Together with Bears Ears, Gold Butte protects "some of our country's most important cultural treasures, including abundant rock art, archeological sites, and lands considered sacred by Native American tribes," Obama said in a statement last December. But as resentment against perceived federal encroachment has risen in the area, so too had fears for the safety of law enforcement officers in the area.